Gerta and her family live in East Germany and her family is divided about that. Her father wants to move the entire family to West Berlin but her mother is worried about leaving the home they have always known. 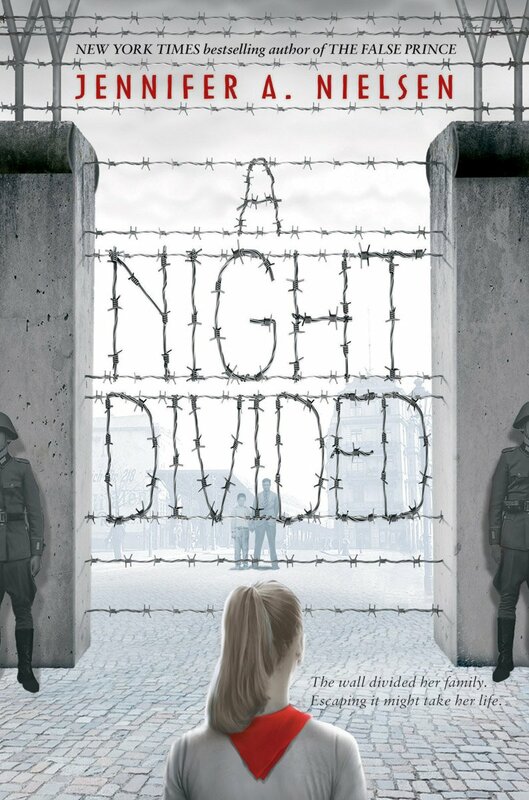 While Gerta's father and one brother are away to see about finding jobs and a place to live in the west, the Soviets erect the Berlin Wall overnight permanently separating the two halves of the city. Gerta, her mother and her older brother Fritz are stuck on the eastern side where it is a crime to even dream of a better life. Four years later Gerta looks at the wall and sees her father on a viewing platform on the western side. He is doing a silly dance he used to perform for Gerta but spends too much time on the part that pantomimes digging. After receiving a smuggled message from her father Gerta concludes that he wants her to dig a tunnel under the wall to escape to the west. Gerta and Fritz desperately want to flee to freedom but if they are caught the penalty will be death or worse. But their family is already being monitored because of their father's actions and time for Fritz is running out before he will be forced to join the military. Historical fiction is not my most favorite genre but I can really like it when there is a good story that just happens to be set in the past. I found myself tearing through this book because the story kept me interested. I also found that I was tense for a good deal of the time while I was reading because I could feel the danger that was closing in on Gerta and Fritz and I wasn't sure they were going to escape. I think my anxiety while reading indicates how well Nielsen kept the story moving and how effectively she created the atmosphere of living in a totalitarian society. I could do without the cover which does nothing for me. I also spent time looking through the book for a diagram of the wall and the death zone between the east and west. That would've been helpful. Otherwise, an engrossing read!